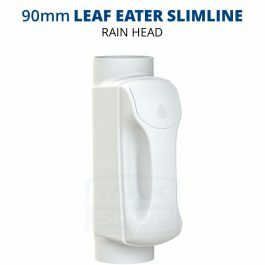 The Leaf Eater™ Slimline by Rain Harvesting is a rain head designed to blend into the architecture of your home. This rain head will keep leaves and debris out of your downpipes improving tank water quality and reducing maintenance, and also help prevent backflow of water into gutters and eaves. They come with a stainless steel screen that has a less than 1mm aperture to keep out mosquitoes and vermin.